Saturday 25th January 2014, 2-4pmDohas are spiritual songs or poems of enlightened Masters. Ani Rinchen will read a selection of these inspiring works over the coming months, allowing ample time for discussion and contemplation. Saturday 22nd February January 2014, 2-4pmDohas are spiritual songs or poems of enlightened Masters. Ani Rinchen will read a selection of these inspiring works over the coming months, allowing ample time for discussion and contemplation. Saturday 29th March 2014, 2-4pmDohas are spiritual songs or poems of enlightened Masters. Ani Rinchen will read a selection of these inspiring works over the coming months, allowing ample time for discussion and contemplation. Green Tara is the female embodiment of Buddha nature whose practice overcomes fear, negativity and inner and outer obstacles. Ani Rinchen will give instruction on the meaning, visualisations, text recitation, music and offerings of Green Tara Puja. Participants should have taken Refuge and have the Green Tara empowerment, or the intention to take it. The retreat concludes on Sunday afternoon with Green Tara Puja dedicated to the swift return of Akong Tulku Rinpoche and the health and long life of Lama Yeshe Losal Rinpoche. 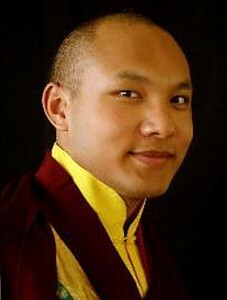 May 28th to June 8th 2014 His Holiness the 17th Gyalwa Karmapa will be making his first visit to Europe and will be giving teachings in Germany, both at the Kamalashila Institute and also in Berlin. Ringu Tulku Rinpoche is one of the main organisers arranging this historic visit, consequently his schedule will be especially busy over the summer and will not allow enough time for his annual teaching visit to Samye Dzong Edinburgh this year. However, Rinpoche hopes that some of us may take the opportunity to attend His Holiness Karmapa’s teachings in Germany and he looks forward to seeing us there. 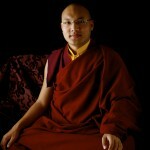 Prophesied both in the sutras by Shakyamuni Buddha and in the tantras by Guru Rinpoche, the supreme head of the Karma Kagyu Lineage known as the Karmapa was the first High Lama to intentionally reincarnate as a particular Master. 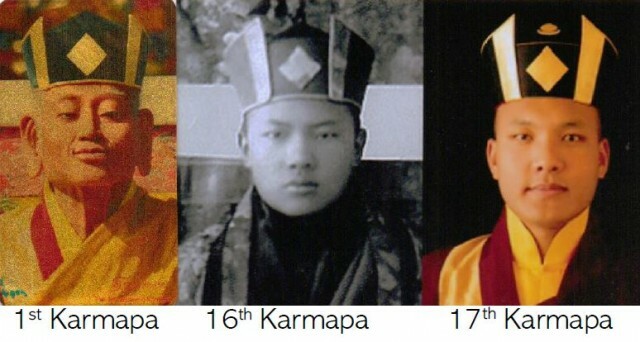 From the first incarnation as Dusum Khenpa to the present 17th Karmapa, Urgyen Trinley Dorje, successive Karmapas have taken birth throughout the ages as the main teacher and primary source of Refuge for followers of the Kagyu Lineage. Their enlightened activity ensures that the precious Kagyu teachings are transmitted in their purity and entirety for the benefit of future generations. 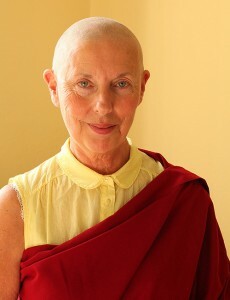 In this course Ani Rinchen Khandro will present a summary of the extraordinary lives and activities of the Karmapas with particular emphasis on the 1st, 16th and current 17th incarnation. The final session will feature the screening of a recent teaching given by His Holiness the 17th Gyalwa Karmapa himself. 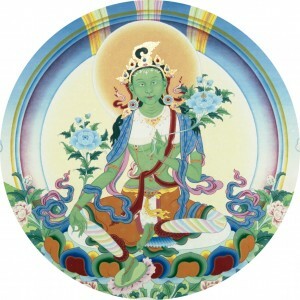 Thursday June 26th 2014, 6.30pm – 8.30pm The practice of Green Tara, the female embodiment of wisdom and compassion in action, to overcome internal and external obstacles. Katas and candles may be offered before the Puja. Do also join us for post Puja drinks and cake. July 26th & 27th 2014, 10.30am to 4.30pm If you are reading this you are alive. Tonight when you sleep you will dream. At some point in the future you will die. These are certainties. The big question is – do you know the potential of these three states, and are you actualising it? Particularly that of dream and death. We will explore these issues over the weekend, with emphasis training in the transit states before and after dream and how to optimise the unique opportunities that arise during the death and dying process. Sunday September 14th 2014, 10.30am – 4.30pmAhead of the forthcoming Milarepa Tsok Puja with Lama Yeshe Rinpoche, Ani Rinchen Khandro will give instruction on the Milarepa Puja chanting, mantras, visualisations and music. Participants should have taken Refuge. Texts can be bought on the day. Please bring a pencil and a red pen for text marking. Saturday September 20th & Sunday 21st 2014 Lama Yeshe Rinpoche is Abbot and Retreat Master of Samye Ling and Samye Dzong Centres worldwide. A renowned meditation Master and charismatic teacher, his wisdom, compassion and good humour make him an inspiring example for us all. 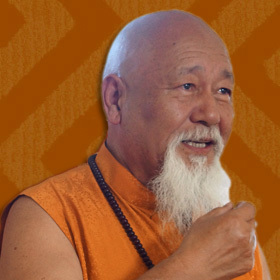 As we eagerly anticipate a wonderful weekend of teachings and Dharma activities with Lama Yeshe Losal Rinpoche we are pleased to announce an important additional event. In honour and commemoration of Akong Tulku Rinpoche we will be showing a short film giving a glimpse into his extraordinary life and work. Ani Rinchen Khandro will explain the meaning of taking Refuge for those who wish to formally become Buddhists and participate in the Refuge Ceremony with Lama Yeshe Rinpoche. 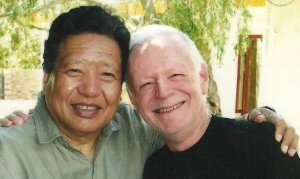 A precious opportunity to meditate with one of the foremost meditation masters of our time. Lama Rinpoche will explain the benefits of meditation and teach simple methods for use in daily life to help us become more peaceful, positive and fulfilled. A Guru Yoga Puja and sacred feast dedicated to the swift return of Akong Tulku Rinpoche and to the long life of Lama Yeshe Losal Rinpoche. Everybody is welcome. Tsok offerings appreciated. Sunday October 19th 2014, 10.30am – 4.30pm This is a follow up course for those who have been practicing The Four Ordinary Foundations, have taken Refuge and are ready to progress further. Ani Rinchen Khandro presents an overview of the Four Special Foundations to be practiced. Emphasis will be given to the first foundation practices of Refuge and Bodhicitta and will include instruction on meditation, visualisation and prostrations. Texts will be available to buy on the day. November 1st 2014, 10.30am to 12.30pm A series of monthly Saturday Matinee teachings by His Holiness shown on the big screen. November 14th from 6.30pmFriday, November 14th is a Wheel Day and we will be offering prayers to the Buddha at 6.30pm. This will be followed at 7pm by a screening of Brilliant Moon, the award winning film about Dilgo Khentse Rinpoche narrated by Richard Gere. November 29th from 10.30am to 12.30pmOur Last Saturday event on November 29th from 10.30am to 12.30pm will be a Music Class with instruction on how to play sacred instruments, including drums, bells, cymbals, conch and radong. This class is open to all those who have taken Refuge and who wish to participate more fully in Pujas. The Shrine Room and The Peace Hall will be available in the afternoon for people wishing to do their Ngondro or other meditation practice. 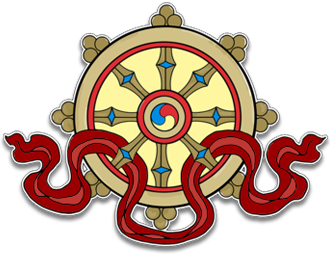 New dates: December 6th & 7th 2014, 10.30am – 4.30pm The practice of Medicine Buddha, or Sangje Menla, is a profound Vajrayana method to engender health and well-being of oneself and others. 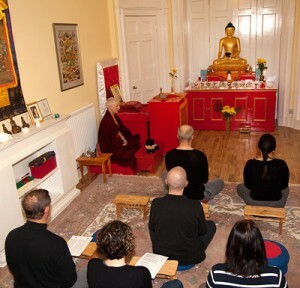 We are delighted that that Lama Zangmo has found time in her busy schedule to visit KSD Edinburgh and give Medicine Buddha instruction over this weekend course. Having completed eleven years of closed retreat Lama Zangmo now runs the thriving KSD London Centre and is eminently qualified to teach this profound practice. The Medicine Buddha Sadhana is an effective way to balance the physical, mental and spiritual health of ourselves and others. 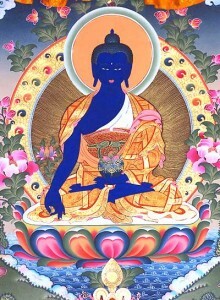 It can be of great help to all practitioners and particularly those in the medical profession.The main motivation of the Medicine Buddha was to remove the sufferings of beings in general, but especially the physical and mental suffering caused through imbalance of the elements which manifests as physical and mental illness. Over this weekend Lama Zangmo will give instructions on the sadhana text, the visualisations, meditations and benefits of this practice, as well as actually leading the Puja. Ideally one should have received the Medicine Buddha empowerment, however, you can still attend the instructions without the empowerment as long as you have taken Refuge. Please bring the text(available from the shop) pencil, red pen and paper. The afternoon session will focus predominantly on the Tibetan Vajrayana tradition with guidance given on how to proceed from here. There will also be time for questions, discussion and short meditations.